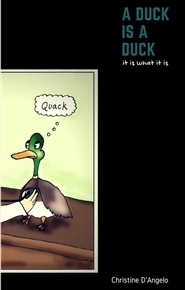 A Duck Is A Duck the way I explained that sorcery is sorcery no matter how it’s used to a friend of mine. Most are unaware that the word Pharmacy means sorcery. I wouldn’t leave you without hope if you were convicted by that last statement. There is a better way it requiring faith and nutrition. No surgery,chemo,any drugs or side effects. This book could save your life. Make sure if you are under a doctor’s care you consult them if you choose to apply the principles in this book. These views are based on opinion and Biblical facts, you are responsible for any decisions you make based on facts you'll be presented by this book.